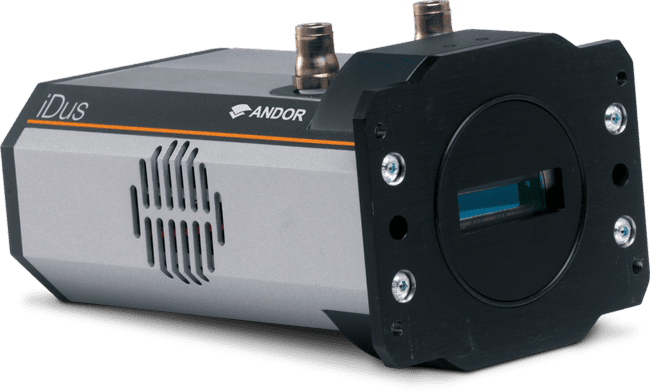 Andor Imaging Spectrographs Kymera 328i | EINST Technology Pte Ltd. This highly modular spectrograph features patented Adaptive Focus, quadruple on-axis grating turret and TruRes™ technology, delivering superb spectral resolution performance. The unmatched configurability and highly intuitive user interface make it the perfect platform for a wide range of routine and more advanced spectroscopy experiments. TruRes™ – Intuitive, rapid and fully user-controlled option for greater than 30% true spectral resolution enhancement at the touch of a button. Enhance the discrimination power of your spectrograph without tedious grating or grating turret change. Quad-grating turret with RFID technology – Seamless field-upgradability with precise indexing interface and user-friendly hatch access. Automatic gratings recognition with embedded RFID tags – minimum user interaction. Maximum resolution and band-pass flexibility at the touch of a button. 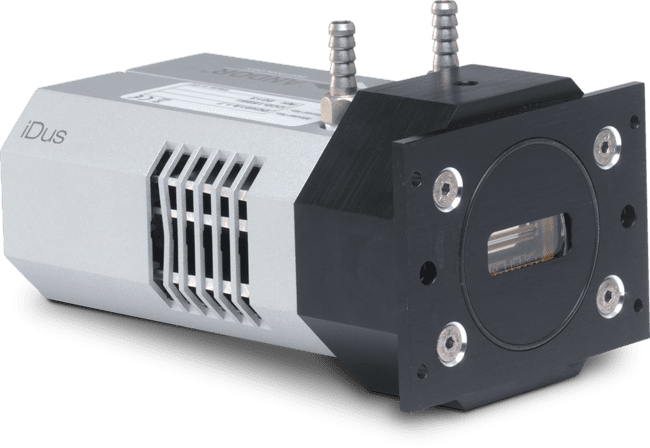 Robust on-axis wavelength drive – High accuracy direct-drive delivers superb single-grating and grating-to-grating center wavelength repeatability down to 4 and 10 pm respectively. Dual input ports – Greater setup flexibility for complex, multi-modal optical setups. USB interface – Plug-and-play connectivity, ideal for laptop operation alongside Andor USB cameras. 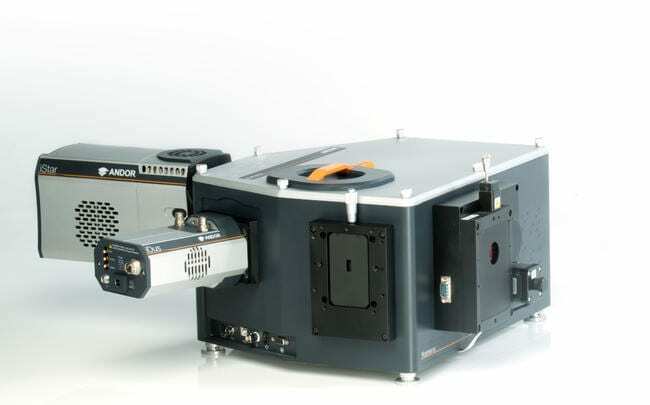 Seamless connection to microscopes – Adjustable height feet and choice of direct, lens relay, or cage system-based interfaces. 15 mm wide-aperture input slit for extended sample image relay and spectral analysis through the same optical path.